Ministry of Sound hires agency for new launch, new b2b lead at Hotwire, new corporate directors at Brands2Life and more from PRWeek UK. The Ministry of Sound has hired W to promote its new project The Ministry. 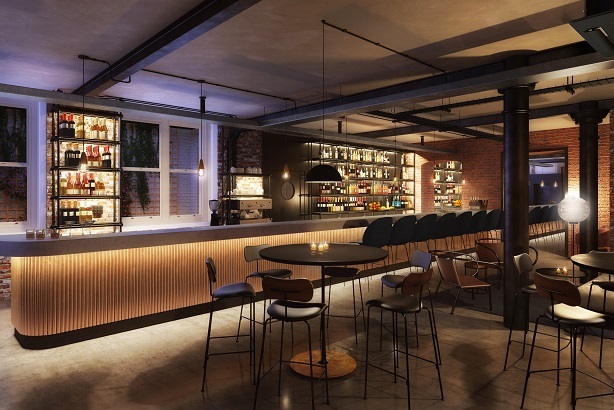 The new venture (below), opening in July, is a workspace and private members club, not far from the iconic London nightclub. Kate Hunter has been made head of b2b UK at Hotwire. She has been at the firm for 11 years, and joins the UK board in her new role. Lucie Smith and Sam Holl have been hired as practice directors in the corporate and business comms team of the agency Brands2Life. They will report to the team's joint MDs Claire Rudall and Harriet Rich. Smith previously worked for mobile firm Three and has also spent time at Travelex and techUK, while Holl joins from Kindred. Text100 has been appointed to handle European regional corporate comms by Bridgestone. There was no incumbent - it is the first time the tyre maker has hired an agency for this role. The main account team, led by head of corporate Toby Conlon, will be based in London and report to Liesbeth Denys, head of communications and PR, Bridgestone EMEA. The Next 15 agency recently lost a Vodafone b2b account to Harvard. UK agency Mason Williams Communications has been hired by Middle East restaurant group, Ghia Holdings, for the launch of its first restaurant outside of the Arab region, opening in London in March 2018. Conrad Maldives Rangali Island has appointed luxury lifestyle agency LUCHFORD APM as its UK representative to create and implement PR strategy for the resort, ahead of a unspecified "cutting-edge new development" in 2018. Butcher’s Pet Care has appointed integrated agency Mercieca to manage the PR of its rebrand. Following a competitive pitch, the Camden-based agency will deliver a campaign spanning consumer and trade media.